belongings for individual clients who are moving abroad or who are returning home after working of studying in the UK. Our high volume day to day working relationship with major shipping lines and airlines enables us to offer the best rates in the market to worldwide destinations. We are experts you can trust to ship your car, motorcycle , plant / equipment or personal effects by sea or air to or from destinations worldwide. In addition to freight forwarding across the world & UK in our Manchester headquarters we have on site a fully enclosed warehouse together with outdoor storage all with 24 hour security. We have on-site container lifting machines to place 20ft & 40ft containers on the ground and we allow customers time to load containers on our site where required. Managing Director Daniel Hallworth gained experience of shipping, logistics and storage at every level in the family shipping business before creating Dan Car Logistics. Dan Car Logistics combines industry knowledge and a family firm commitment to customer service together with the latest technology to provide business and private customers with a first class and value for money service. We provide our service to both Business Clients and Individuals. We are trusted by major UK business clients to ship Bugatti Veyron, Lamborghini, Bentley, Porsche and Ferrari cars across Europe, the Middle East and Worldwide. Leading prestige car dealers in London, Birmingham and Manchester choose to use our services on a regular basis as we take the hassle out of exporting cars and we deal with every administrative detail required by forwarders and customs. In addition to shipping by sea container and Ro-Ro ferries we airfreight cars to all destinations. We transport cars to all European destinations and we can pick up your car at any location within the UK or, if you prefer, you can deliver your car to the Port or to our Container Base in Trafford Park Manchester. We have frequent connections for the shipping of cars to MALAYSIA, SINGAPORE,HONG KONG, INDONESIA, JAPAN, NEW ZELAND, AUSTRALIA, All of AFRICA, USA and SOUTH AMERICA. We will ship your motorcycle one way or for a round trip to destinations worldwide by sea or airfreight. By Sea Freight we will pack your motorcycle into a custom built wooded crate. You can choose to drop off your motorcycle to us or we can collect it t low cost from any UK address. Where speed is important we air freight motorcycles. We have frequent connections for the shipping of motorcycles to MALAYSIA, SINGAPORE,HONG KONG, INDONESIA, JAPAN, NEW ZELAND, AUSTRALIA, All of AFRICA, USA and SOUTH AMERICA. We ship by part and full sea container from UK ports to destinations worldwide at the best rates available in the market. We will assist and advise on customs regulations and import permit issues. 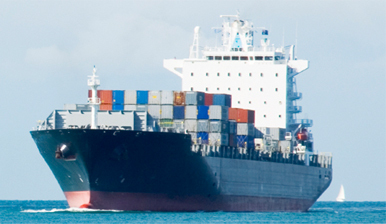 Dan Car Logistics work with many of the leading shipping lines in the world. With such strong partnerships and good relations we offer very competitive rates. Whether you require a full load container (FCL) or a part load container (LCL) we have the best market rates to all destinations. Dan Car Logistics offer a very fast airport to airport air freight service and a reliable door to door air freight service. We focus on keeping rates low and delivery fast. We handle both small and large consignments with collections arranged throughout the UK & Europe. We have our own on-site, fully insured, warehouse and storage facilities and offer customers very affordable rates for their cargo big or small. We are experienced in handling all types of cargo. We are located directly off the M60 next door to the Trafford centre. Our 24 hour security and CCTV give all customers peace of mind. Dan Car Logistics operate a fleet of car transporters and trade plate drivers throughout England, Wales, Ireland, Scotland and Europe. We will meet your requirements for fast, efficient, affordable and fully insured storage and shipping of all types of vehicles.